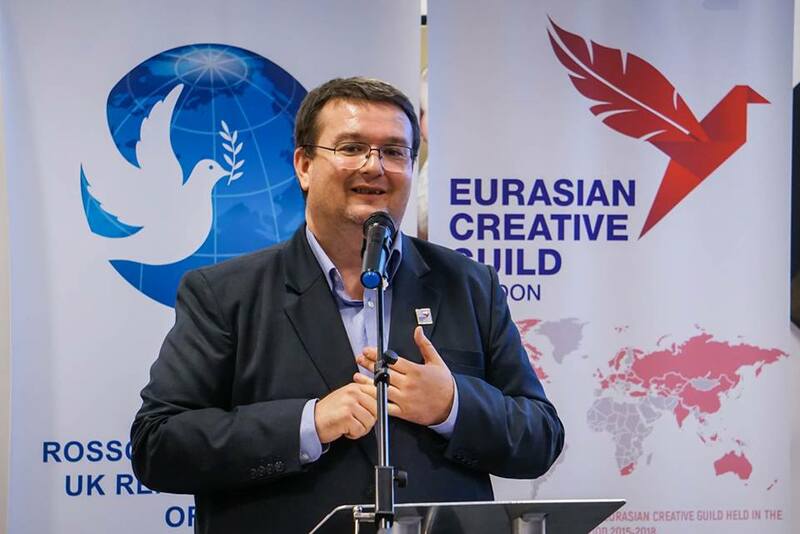 The representative office of Rossotrudnichestvo in London hosted a festive meeting of the Eurasian Creative Guild under the leadership of Vice President Marat Akhmedzhanov and publishing projects manager Angelina Krasnogir. 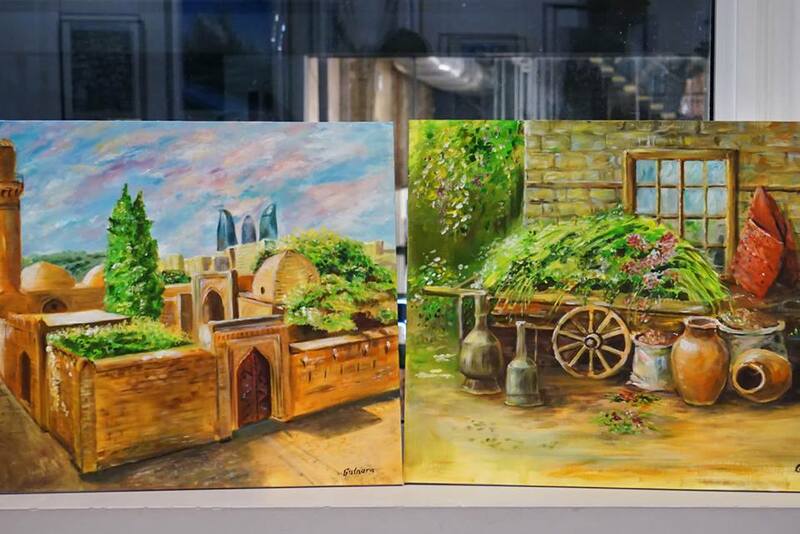 On March 13, the Guild meeting was held in honor of the International Holiday Navruz, which was marked by the Iranian and Turkic peoples with the arrival of spring. 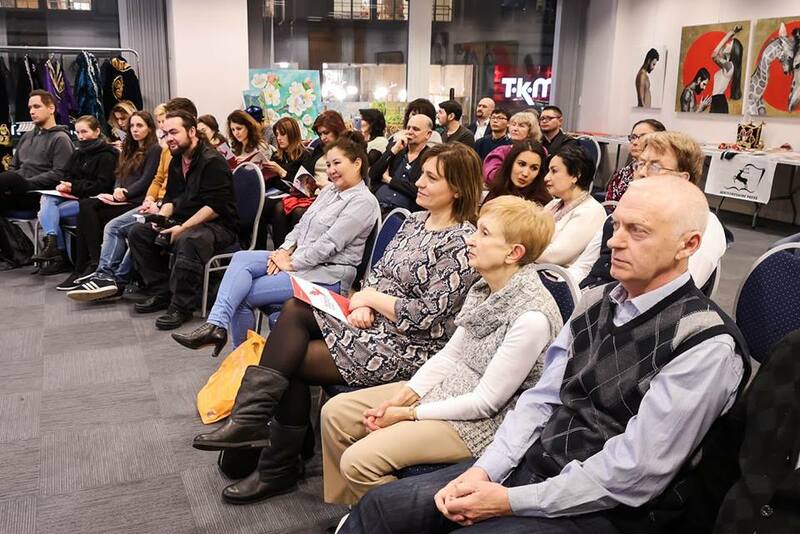 Navruz is a national tradition of many nations, so the Guild meeting was attended by over 40 guests, most of whom were international creative elite and members of the Guild. The event was held in an unforgettable creative format, which was opened by Daria Robertson and Zhanna Kemp who performed five classical songs with piano accompaniment. Artists from Bulgaria (ensemble ”Forgotten Melodies”‘), Kyrgyzstan and Russia, writers and authors from the UK (John Fardon and Caroline Walton) also performed. 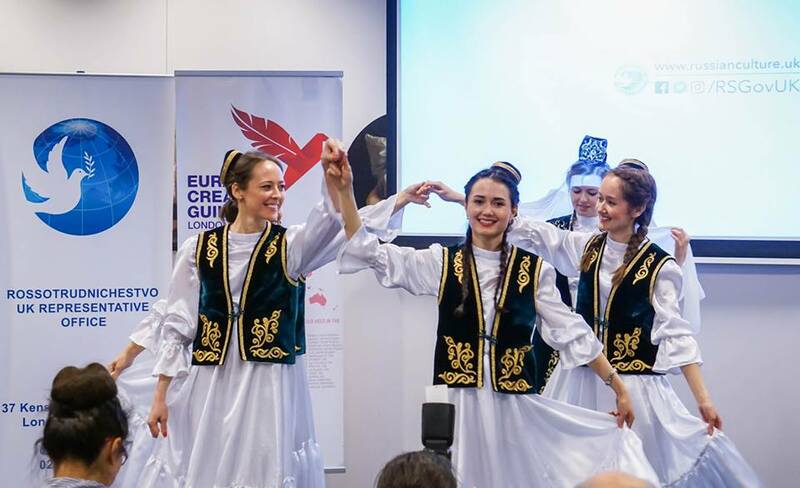 At the end of the concert program, Nuria Kabirova, Galiya Kabirova from the Zaman society presented two traditional Tatar dances Kyz Beru. 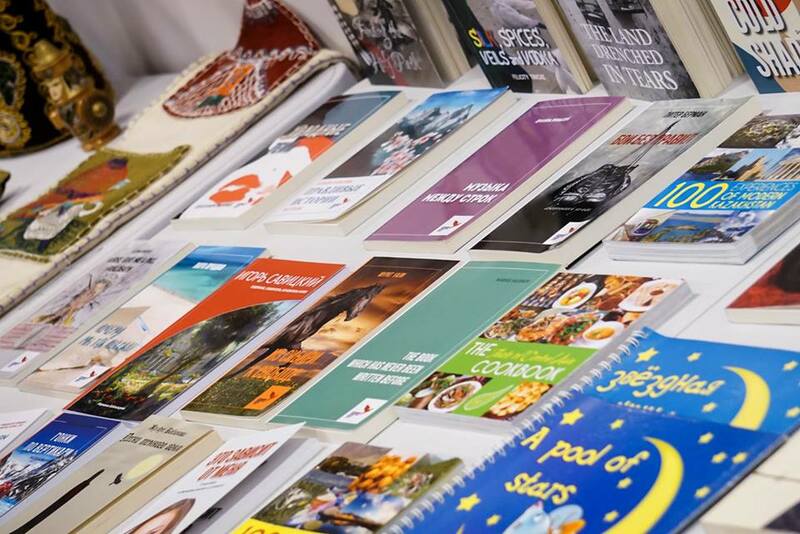 In addition to creative issues, books published by Hertfordshire Press and handicrafts from Azerbaijan, Kazakhstan, Kyrgyzstan, Tajikistan, Tatarstan and Uzbekistan were presented. 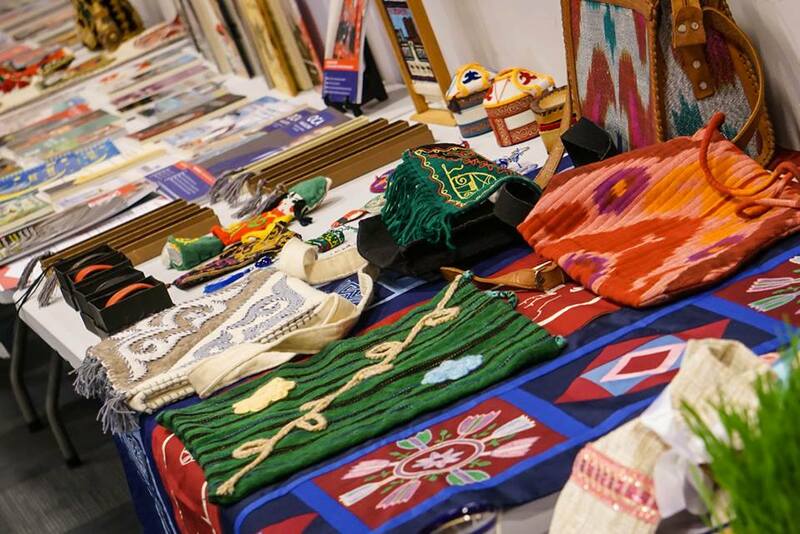 An exhibition of artwork by Guild member Gulnara Mahmud was also organized, and national costumes from Uzbekistan and Kyrgyzstan (chapans) were presented. 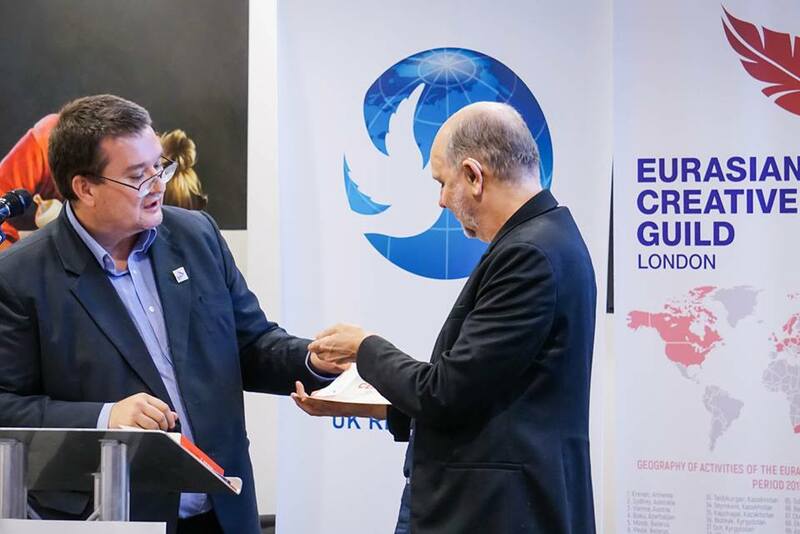 It is also important to note that Nurym Taibek, Gulzada Hamra and Gulnara Makhmudova were awarded the membership badge, and in addition to the badges, Guild members certificates were presented to John Fardon and Caroline Walton.